This looks great. 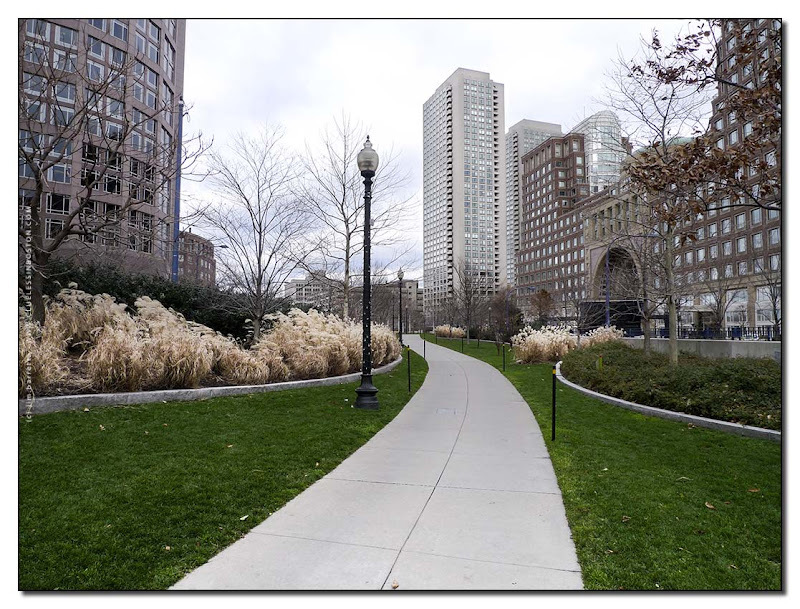 I know the location very well but have not been up to Boston recently, so I have not seen for myself how the post-Big Dig landscaping has turned out. From this photo, at least, it seems that they did a good job. There you are, Mr. Clueless! I have just been enjoying your December posts -- all very nice! Thanks to Jack for giving some added perspective to this photo (no pun intended). I'm not as familiar with the Rose Kennedy Greenway as I should be. A lovely postcard with beautiful buildings and peaceful path!